Navis has earned a reputation for excellence for our packing, palletizing, crating, boxing and shipping services. Whether you need one fine art crate, a thousand industrial crates, or ISPM-15 certified crates for international shipping, Navis Pack & Ship can produce custom wooden crates for any item of any size. 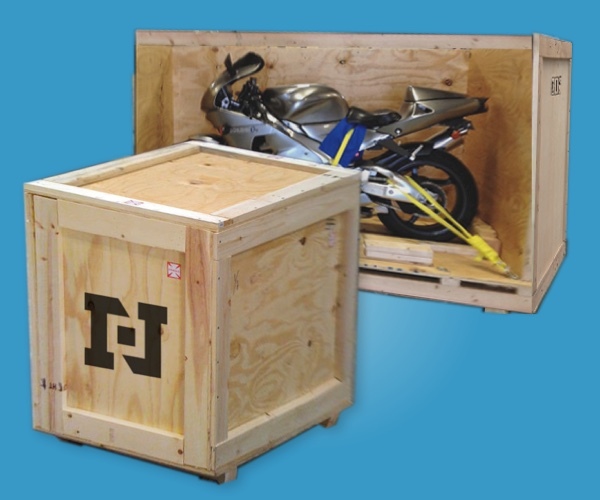 Based on a foundation of more than 30 years of experience, Navis Pack & Ship has been the leading company for crating your fragile, large, awkward or valuable items and shipping them across the globe. Custom crates for your valuable pieces of fine art, furniture, antiques, and collectibles. Industrial crating from lightweight sensitive items to equipment weighing thousands of pounds. Specialized packing materials and techniques, including cushioning and Foam-In-Place to secure your shipment. Containerization of large shipments including rigging and blocking & bracing. Initial design consultation & cost estimate. On-site or off-site crating services depending upon the scope of the project. ISPM-15 certified crates to meet International Shipping requirements. Destination services that meet your budget including door-to-door and door-to-port.